Usually, when people start planning their move, they focus on making solid plans for moving their homes. However, little do they know that packing a garage can be as demanding a task as packing the rest of your property. The reason behind it is the fact that, more often than not, we use our garages as storage space as well. Therefore, not only do you have to prepare your car for moving, which should not be that much of a big deal, but you also need to make sure that all of your belongings sitting next to your car are packed as well. Now, if you think about it, you will understand that there are plenty of other items to take care of than what you might have originally thought. Therefore, bear with us and find out what are the tips and hints for packing a garage. You first need to understand that this is going to be a different experience from packing your home due to the fact that there is not going to be one type of items that need prepping for the move. Garages are filled with all kinds of stuff. So, the packing process will differ from packing your home. In fact, when you hire packing and moving companies Las Vegas to help you relocate, one of the first questions that they are going to ask you will be whether you have a garage. The moving process will go one way or the other depending on if there is one awaiting packing. As we have seen there are going to be numerous different items located in your garage. Therefore, it is going to be quite difficult to make a detailed plan of activities that you will be undertaking in order to pack all of them. However, we are certain that you are going to need a significant amount of time to deal with packing a garage. So, we would suggest starting preparations for your move by packing a garage first. The last thing that you would want is to leave something like this for the end, only to realize that you are not going to have enough time to complete it. 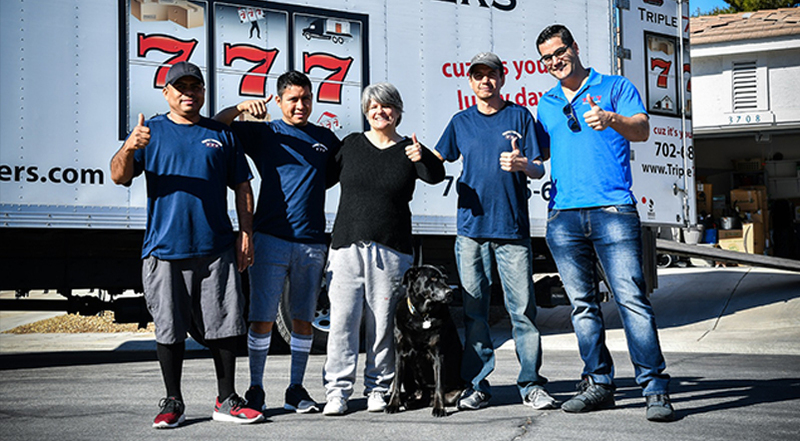 Our residential movers Las Vegas can be of assistance to you in this case. Still, it would be better to have them deal with the fragile items that need careful packing. And too few of them will be located in your garage. So, do not waste your time. Tackle packing a garage right away at the very beginning of your moving preparations. There are a few secrets to an efficient move. Not taking with you items that you really do not need is one of them. Therefore, now that you have decided to start packing a garage, the first thing that you need to do is to declutter. In the case that you have been living in this house for an extended period of time, you will probably have quite a load that you are going to need to sort out before you start packing. It is important to let go of all the items that you have not been using lately. Simply, us, the people, tend to hoard items for just in case we should need them in the future. Guess what? That just in case of time rarely does arrive. Furthermore, you should say goodbye to those items that are somewhat cheap to get. It may prove more expensive packing and moving them then buying a new pack. Bear this in mind should you decide to move from the state of Nevada. Given the fact that your car lives in your garage, but not you, that place is not going to be clean. In fact, dust is probably going to be all around the place no matter how well-maintained you keep it. Therefore, after you have decided what is coming with you, make sure to clean it thoroughly before packing it. Firstly, after you clean all of those items, packing is going to be much simpler and a cleaner process. Cleaning should not really represent an issue if you live in a place like Las Vegas for example. The lack of rain means that the dust is going to be your main enemy. Secondly, you should not want your new garage filthy right away. Obviously, it is probably going to get dirty at some point. But bringing in dirty objects is not going to help you with maintenance. Let’s face it, we are talking about packing a garage here. Therefore, you are probably not going to have to deal with finding out how to pack fragile items right now. Therefore, you should try and fit as many of your garage items together into the same moving box. Obviously, you are going to need to invest in sturdy moving boxes, so make sure you buy some quality ones. The fact that you have already cleaned and decluttered your garage is going to help you get an idea of how many and how big moving boxes you are going to need. Therefore, make sure to conduct all the necessary preparations before you get down to packing your items. Depending on the approach that you take when packing a garage, it may prove both an easy and complicated challenge. Therefore, in order to make sure that it all goes well, do your best to follow the tips that we have given you above. We know from experience that they will enable you to pack easily. And if you are skeptical about even attempting it, know that we are always a single phone call away.